The apex Igbo socio-political group in the country, Ohanaeze Ndigbo, yesterday opened up on why it disowned the indigenous people of biafra (IPOB) and its leader, Nnamdi Kanu. According to the group, Igbo people have invested heavily in different parts of the country, even as these investments outside Igbo land is so huge that leaving the country is not a reasonable option at this time. It also maintained that, while it denounced the IPOB, biafra and agents of secession, it is fully in support of restructuring. President General of Ohanaeze Ndigbo, Chief John Nwodo, who spoke on behalf of the Igbo people said they will always stand against total break up of Nigeria despite agitation of some youth from the region. Speaking during a session with Igbo leaders in Abuja, Nwodo added that no ethnic group has more stake in the country than the Igbos. The Ndigbo leaders were in Abuja to meet with critical stakeholders and have their understanding on the present happening. “Ohanaeze understands and appreciates the circumstances that prompted the youth agitations under the MASSOB and IPOB platform. We do not believe that leaving the country is a reasonable option at this time”, Nwodo told the Igbo leaders. Nwodo said that his group, governors, National Assembly members, traditional and religious leaders, after deliberating on the situation in Enugu, came to the conclusion that the restructuring option is the reasonable way to go and not secession. He explained that restructuring will bring Nigeria to a level where every person of which ever tribe, religion or class would have a sense of belonging and in return give in their best for the development of the country. Ethnic Agitations Are Becoming Dangerous – Udenta ,Meanwhile, a public affairs analyst, Dr. Udenta Udenta, has warned that ethnic agitations across sections of the country are becoming dangerous. 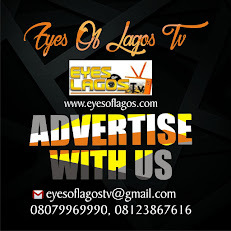 Speaking in an exclusive interview with Eyes Of Lagos , Udenta said that there is need to apply restraint in the manner these agitations are made or else the nation will suffer the negative effect. He said, “The colonial mode of constructing the Nigerian state privileged ethnicity and regions over other nation formation categories and that ethnicity, ethnic consciousness, ethnic rivalry and charges and counter charges of hegemony overreached by different factions of the ruling elite were implicated in the decomposition of the structural and institutional facets of the post-colony in the early and mid 1960s. interrogated the configuration of national identity and the production of political and economic power on ideological imperatives worked out by the confluence of the national political elite attired in various ethnic garbs, there is still something troubling incestuous about the upsurge in ethnic self live. “The unbridled and unrestrained embrace of ethnic nationalism is not only as an antithetical and ideological narrative but also as the unwholesome coming of souls and bodies from the same extended ancestral bloodline, “ Dr Udenta espoused. He, however, called on all and sundry to ensure that all hands are on deck to ensure collective peace in the polity.